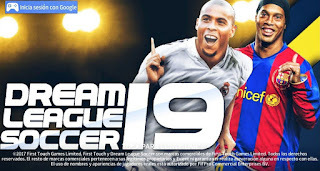 Dream league Soccer 2019 (DLS 19) Pc Game Free Download, is among the best Pc and Mobile Offline Soccer game. you may have played this game on your Android phone and want to play it on your Pc, Yes! Dream league Soccer 2019 (DLS 19) Pc Game is worthy to be played on your Pc. Dream League Soccer 2019 (DLS 19) Pc Game is an Update version of Dream league Soccer 2018 (DLS 18) For Pc, which I surely knows you wanna have this newly updated version on your Android, iOs, iPhone, iPad and Pc. So yet, Here I only provide you with only Dream League Soccer 2019 (DLS 19) Pc Game, Other Devices update are coming up here. Dream league Soccer 2019 (DLS 19) Pc Game comes with great user interface which give a user the best performance on the go, DLS 19 Pc Comes with many new updates like: New Players Transfer, Kits, Stadiums, update player development and other Things. Bluestacks is an Android Emulator App which Its help you to run An Android Apk on your Pc both Games and Apps. Dream League Soccer 2019 ( DLS 19) Pc Game is awesome to its size, Which goes totally on 320Mb Sized. So Here I provide you with Installation Guide/Direct Link To Download Dream League Soccer 2019 (DLS 19 Pc Game) Free Download For Pc. Here are Some Great features of Dream league Soccer 2019 which I surely Know you will Like to Enjoy them. In-game Commentary: commentary are on going live while playing the game. Fulfill your Dreams: Get your Club Ready and Start Building your Career to make it become true. Multiplayer Mode: The Dream League Online feature enables you to compete with the best DLS players in the world or You can play with your friends via Local WiFi. As I Said earlier, You required a Bluestacks Android Emulator to install Dream League Soccer 2019 For PC on your Windows/MAC PC. 2. Extract the contents of both files, so as to get the full-sized version, into a folder. 4. Launch the executable to install Bluestacks. You will be greeted by simple on-screen installation instructions. Follow the same and once Bluestacks is successfully installed launch it. Through Bluestacks’ inbuilt file explorer please navigate and tap on the DLS 2019 Apk file available in the extracted contents. 5. After the installation is successful please move the contents which you have extracted from the OBB file to the Android/OBB folder within Bluestacks. If the folder doesn’t exist then you need to create the same yourself. 6. Great! Now just launch the game directly by clicking on its icon from the home screen of Bluestacks. Cool! Enjoy Dream League Soccer 2019 on your PC. Finally You Download DLS 19 on your Pc, Enjoy the New Game interface. Don't Forget to share this Post with others, sharing is Caring! Having any problem when installing this game? Please Use the come box below to indicate the problem you are having.